Exceptionally smooth chrome tape flats - ideal for jazz, fusion, or simply to reduce finger noise in the studio. If you are a fan of Django and seek that special acoustic jazz guitar sound then 'Django Jazz' are the strings for you. Silver wound ball-end strings with a carbon core. THE JAZZ GUITAR RANGE. MEDIUM GAUGE. 13-56. CHROME TAPE FLATS. BALL-ENDS. THE JAZZ RANGE. HEAVY GAUGE. 14-58. CHROME TAPE FLATS. BALL-ENDS. THE JAZZ RANGE. SUPER LIGHT GAUGE. 10-48. CHROME TAPE FLATS. BALL-ENDS. THE JAZZ RANGE. LIGHT GAUGE. 12-54. CHROME TAPE FLATS. BALL-ENDS. 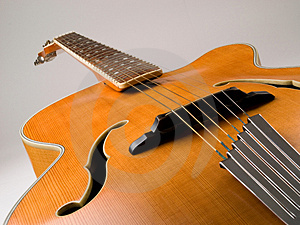 GYPSY JAZZ GUITAR STRINGS. MEDIUM GAUGE. 11 - 46. 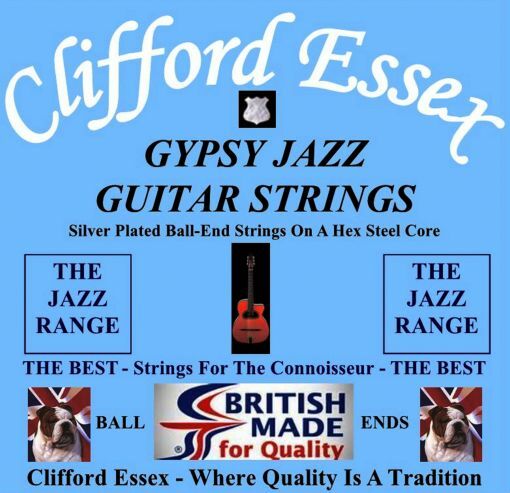 GYPSY JAZZ GUITAR STRINGS. LIGHT GAUGE. 10 - 44.